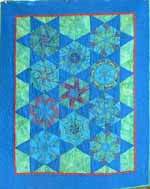 I am a born again quilter who discovered quilting 25 years ago while a full time reading specialist. 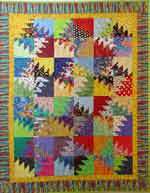 I realized then that quilting was something that I could become addicted to so put it on the back burner until I retired. 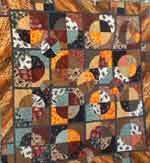 When that happy day arrived and after my husband and I moved to the Big Island of Hawaii from Northern California, I began to explore quilting seriously. 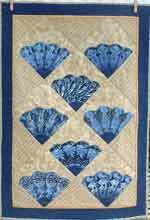 First, I began with the obvious, Hawaiian quilting since I now live in the Aloha state, but soon found that I had quilted more Hawaiian style pillows than I could ever use in a lifetime. 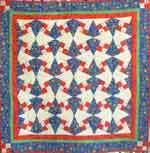 One day, I happened to see an announcement in the local newspaper about a quilt guild that was to be started that would be for American quilting. 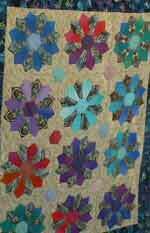 I joined and since then have been on a journey, trying out different kinds of quilting. 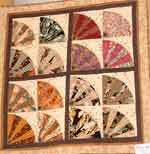 I tend to go through phases: I've had my Stack and Whack period, my Asian era, and my Bargello epoch, to name just a few. 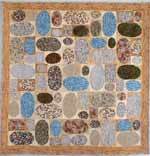 In my "real" life, I am a writer of computer software documentation, newspaper columnist, and copy editor for several educational publications. 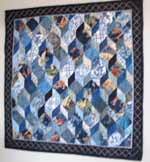 That is, when I can tear myself away from quilting! Aloha nui loa!